We are in the midst of a dilemma! Summer is more present than ever: having a swimming pool would be ideal, but also a garden that’s well-equipped can be very useful. But who says that traditional forms of seating in the garden is where it has to end? There are a million and one different ways to park it in the garden, and we intend to address them all today—well a few anyway! Take a look. The dream of a tree house will never truly abandon us. 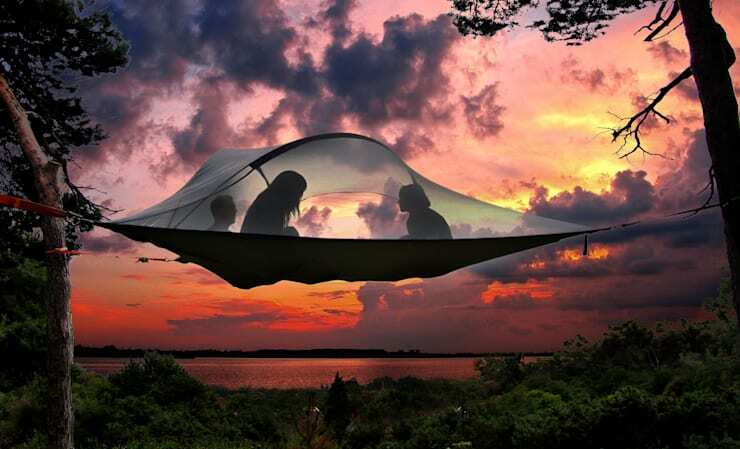 This ‘Tentesile Stingray’ is an ideal for camping alternative, but, could even be used in your own backyard. In the end just three trees, of a certain thickness, will balance this tent like a spaceship! 3 hammocks make up this great kit, and enough space to enjoy an afternoon! Here is a depiction of cool, originality and comfortable chair. ‘Swing’, this rocking chair made in Italy, retains old traditions and crafts within its appearance. There are just two materials, wood and rope: the latter recovered from climbing peaks or naval use. The shape is reminiscent of a mountain sled, with soft lines and taut strings to slide more easily on the snow, but, in this garden, you won’t be seeing that any time soon! 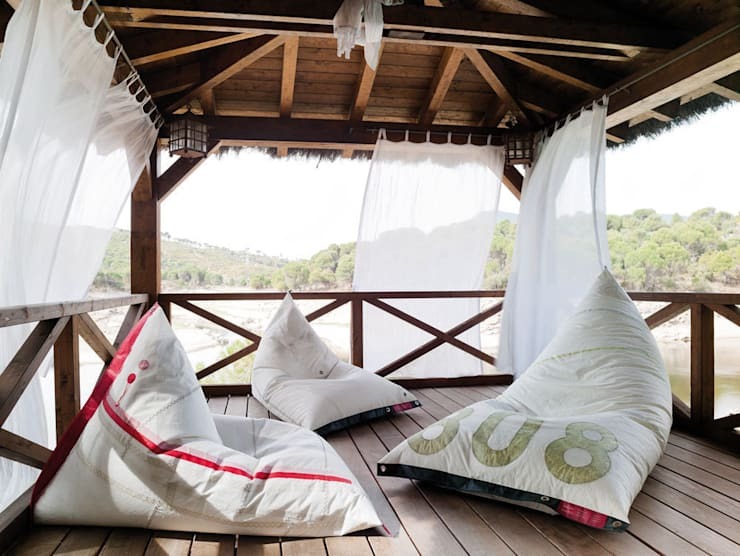 Another great idea is the Génois Pouffe, which is made from recovered sails . A material that becomes strained when you sit down, the back, in fact, acquires stiffness and adapts perfectly to the body. 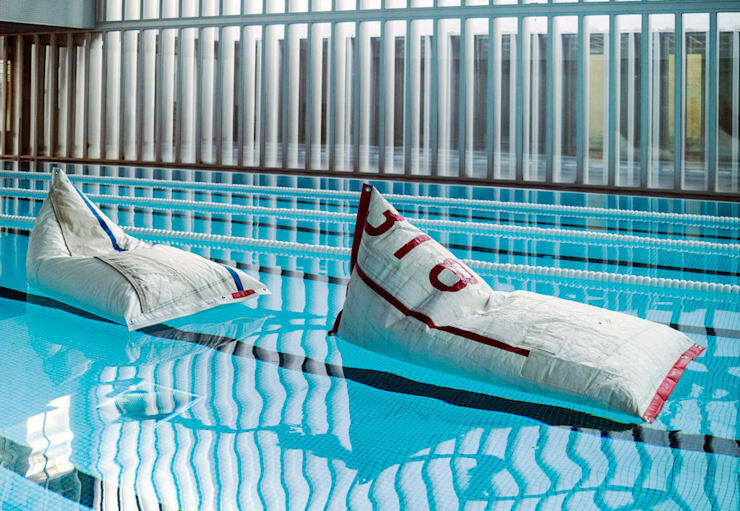 There are also versions of the Génois Pouffe that can float on water. Garden, swimming pool, terrace—this is how to stay beautifully comfortable any time, anywhere. Do you remember those typical deck chairs by the sea, perhaps with the name printed on the back of the them? Well, forget them: even that isn't enough for today—nostalgia won’t cut it! For your garden or terrace, this chair is structurally composed of a circular cross section of aluminium and very durable fabric. Its design is reminiscent of the bathing establishments of the past, but to modern effect. Lovely! Need more ideas for your garden? Have a look at these ideabooks for inspiration!